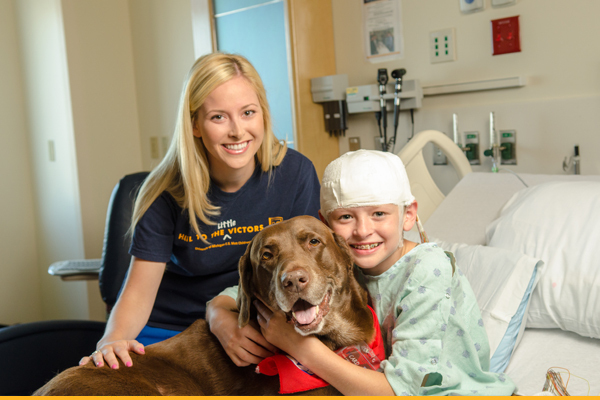 Why choose a nursing career with the Michigan Medicine? When you decide to bring your skills and passion for nursing to Michigan Medicine, you’re choosing so much more than just a job. You’re choosing to align yourself with one of America’s premier academic medical centers. You’re choosing to surround yourself with the country’s finest nursing and medical professionals. And you’re choosing to begin a rewarding, meaningful career. All in a place where your contributions will be recognized, your knowledge and skills will be advanced and your impact on people’s lives can be greater than ever before. It all begins with developing a relationship with our team in the Department of Nurse Recruitment and Retention. Our diverse, committed staff is here to support you, answer your questions and make your transition to Michigan Medicine as easy and enjoyable as possible. We’re not interested in simply filling positions. Our mission is finding the best nurses – those who embody The Michigan Difference – and guiding their passion toward positions that fit their skills, and offer the greatest satisfaction and opportunities for success.